Finnish designer Eero Aarnio has created the Swan XL Floor Lamp for the Helsinki, Finland based manufacturer Martela. The new Swan XL is a larger version of the Swan table lamp, which was introduced earlier. Swan XL is a floor lamp designed to go next to the armchair of an avid reader. It provides a focal point that looks equally impressive in private homes as well as public spaces – anywhere that requires a good spotlight. Floor lamps are made up of three parts: the base, the stand and the shade. “I wanted to give these components a new, modern form and this led to the creation of Swan XL. 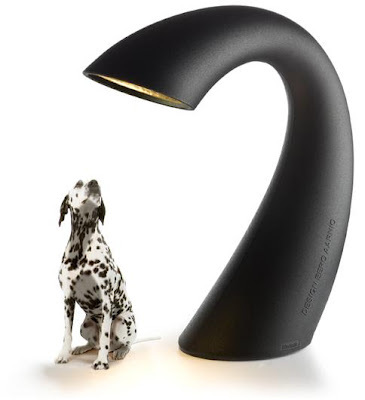 It is not just a larger version of the table lamp, however. I’ve altered the dimensions to make it work better as a floor lamp. To ensure that the design was functional, I made life-size drawings of the XL version to see what it would look like next to my favourite armchair,” Eero Aarnio says.